A couple of months ago, we decided to visit Onde after having passed it various times on the way to other restaurants around the area. The wooden tables and cushioned seating whispered "warm and inviting", and even on a Sunday evening, small groups of diners strolled in for a bite to eat. In keeping with the winter theme, Onde ran a "double duck" special, with cute rubber ducks accompanying each table. 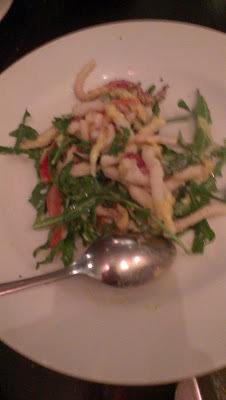 For the sake of our health, however, we decided to keep it simple and ordered a starter of fried squid with rocket leaves, tomato and aioli. I've always been a fan of tentacled creatures, and this dish did not disappoint. 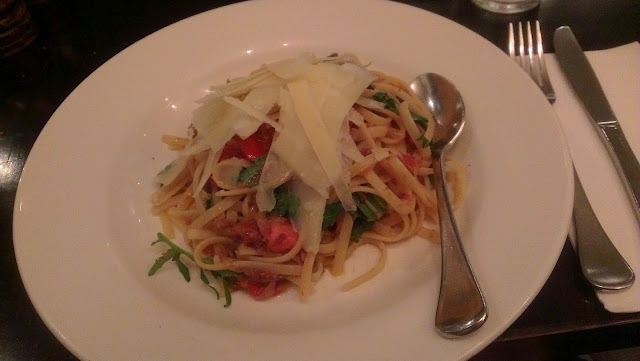 For my main, I ordered the linguine with tomato and chilli. The dish wasn't as spicy as I was hoping it would be (the chilli tasted more like capsicum), but the dish was still tasty and the portions were generous. 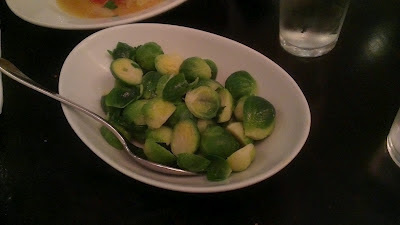 The vegetable side dish that we ordered consisted of buttery Brussels sprouts. I can't comment much about them because I don't appreciate the bitterness that ensues from partaking of them, but Onde masked the bitter flavour fairly well. 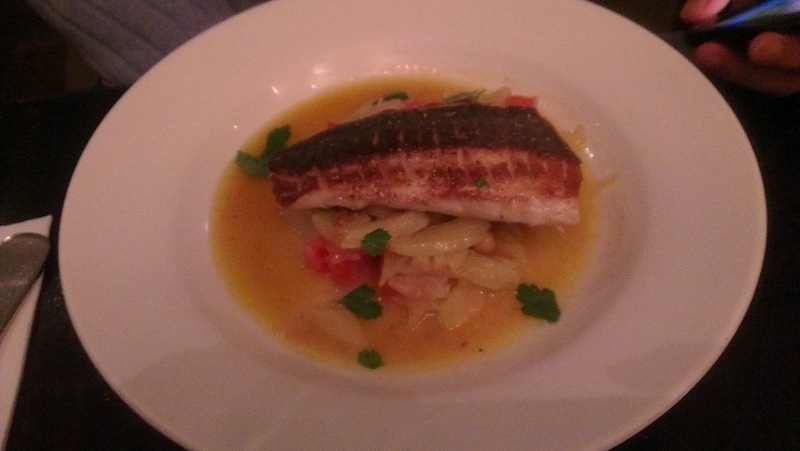 I have to say, I experienced a bit of food envy when I stole a chunk off of my +1's main - the fish of the day (I can't recall what it was... barramundi maybe?) served with fennel and chickpeas.